LET’S first tackle the elephant in the room: Why is it that, a price bracket up, the Clio and Mazda 2 change order, and where has the Jazz gone? There’s nothing sinister happening; it’s just that the battle raging in this class is a particularly close one, and subtle differences in price, resale and insurance premium shake up the order. Renault’s Clio takes the gong, while the Jazz is relegated to fourth. The take-home message is that they’re all excellent buys. But the Gallic gold medallist tops them – by a slender 1.4-point margin – with a terrific 4.5L/100km official combined cycle fuel economy figure (albeit on 95-octane premium fuel) and a characterful, throbby triple-cylinder note. The Renault’s 66 percent three-year Redbook resale is reasonable, while the annual insurance bill is among the cheapest here at $933. The brand’s adoption of an across-the-range five-year warranty counts for plenty. Without it, the Renault would slip to second. Meanwhile, the Clio’s 12-month service interval offers hassle-free motoring and cash-saving potential. 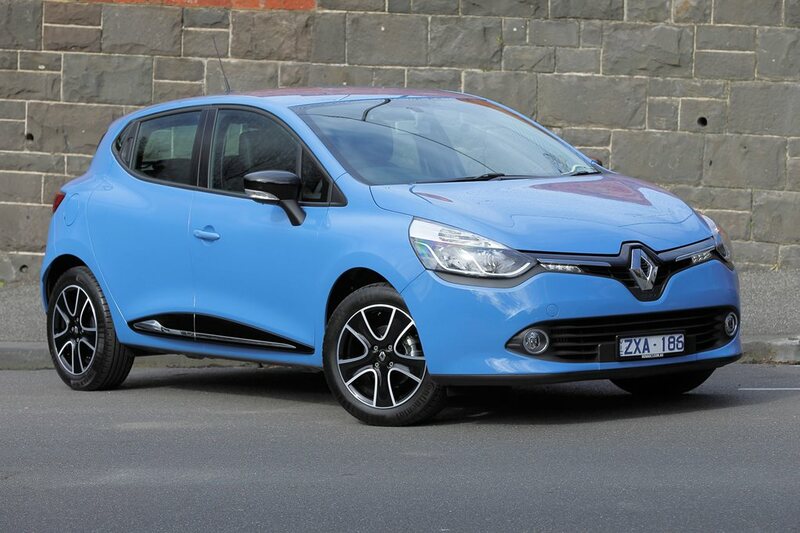 Consider the driver appeal on offer for less than $18K (plus on-roads) and Renault’s baby is the archetypal Gold Star car. THE three-pot Peugeot goes close to Clio’s economy, but without the turbo torque. Betters its rival’s resale, at 70 percent, and matches it for cheap insurance and a 12-month service interval, but falls two years short of Renault’s five-year warranty, which is certainly a consideration on French cars. WITH fuel economy to rival the pair of Frenchies above it, the Mazda 2 coodabeen a contender. In fact, a small but meaningful drop in fuel use would see it take out the category, and the next-gen 2, due in December, will bring that efficiency improvement.